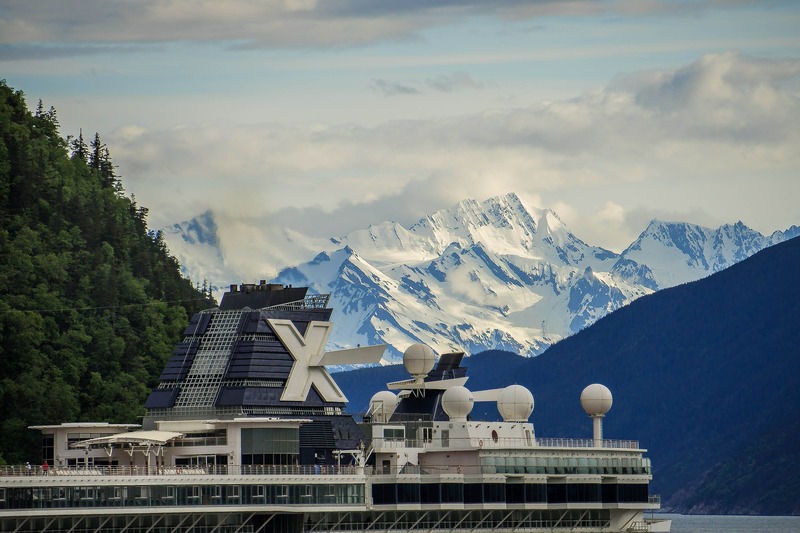 Are you scouring the internet for an Alaska cruise packing list because you are excited about your upcoming cruise to Alaska? 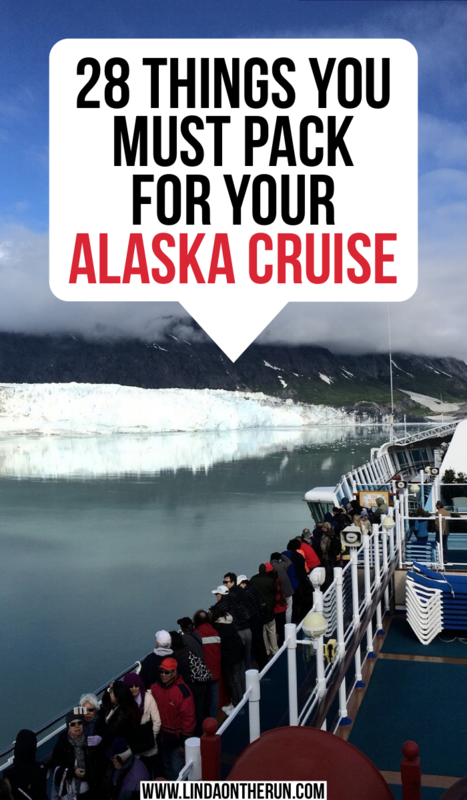 Look no further because I love Alaska, have visited there several times, and have put together for you a packing list for your cruise to Alaska. It is important to bring the proper clothes and shoes and extras in order to be prepared for all the unpredictable Alaskan weather. Choosing what to put on your Alaska cruise packing list does not need to be difficult or overwhelming if you have an idea of what you need. And if you live in a warmer climate, just about everything can be purchased online. What a lovely sunny day for an Alaska cruise! 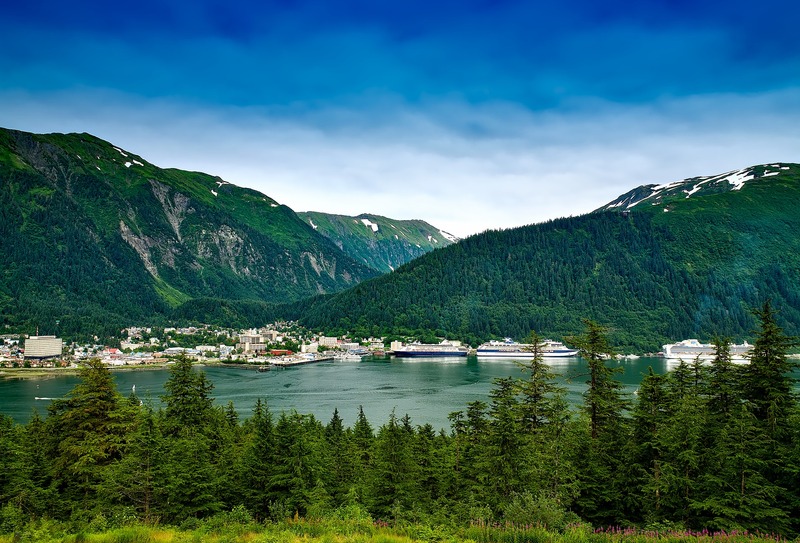 Alaskan cruises typically sail from late April through early-October and you need to take into account Alaska’s unpredictable and unfamiliar summer weather when considering your Alaskan cruise packing list. The temperatures along Alaska’s Inside Passage usually hover in the 60s to low 70s at best during the daytime, and in the 50s at night. Think windproof and waterproof. I like this jacket from Columbia because it comes in many colors, has a hood, is waterproof, and comes with the Omni-tech technology. I also like this Columbia jacket because it is a bit more affordable, but still is waterproof with all the technology Columbia has to offer. You definitely want to be prepared for those cold Alaskan breezes when you are out on those chilly Alaskan waters, or when strolling on the deck of your cruise ship. If you are going to invest in one new thing for your Alaska cruise packing list, I recommend a great jacket so you aren’t cold and you can enjoy your cruise! Long underwear has come a long way in the last few years and is a must on your Alaska cruise packing list. Companies are using some pretty incredible technology which gives you the warmth you need but the bulk you don’t. I wear 32degrees when I travel and at home, because the fabric is so soft and silky, keeps me very warm when I use it as my base layer, and there’s absolutely no weight to it, meaning it does a great job keeping me warm but is not think, heavy or bulky. This scoop neck thermal top when added to your Alaska cruise packing list, is a great option. These women’s HEAT base layer leggings would pair perfectly and keep your core and legs warm when worn as your base layer so def put them on your Alaskan cruise packing list! 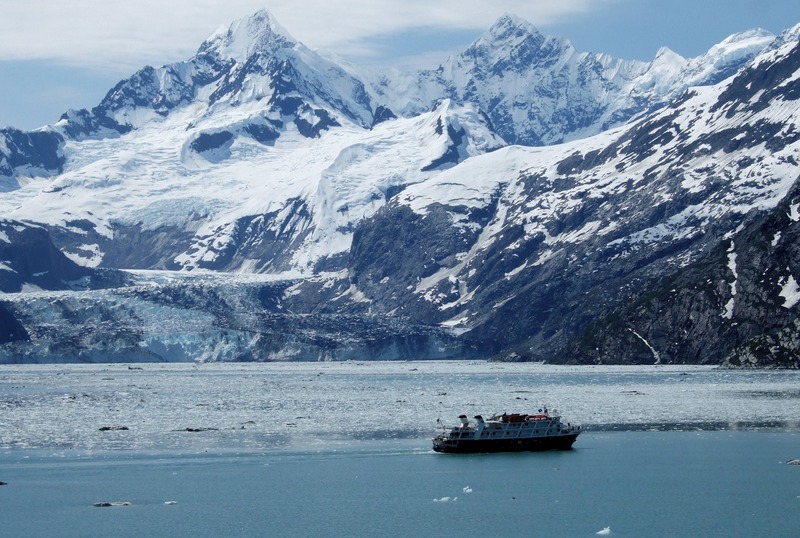 On your packing list for a cruise to Alaska, you want to put waterproof clothing. Alaskan weather can be chilly and misty and rainy. These windproof waterproof outdoor hiking pants perfectly fit the bill. Not only are they windproof and waterproof, but they are also affordable. Whether you are hiking a glacier, on the open water whale watching or taking an evening walk after dinner on your cruise ship, they will protect you from the elements. Another option is these lightweight waterproof pants that pack well and will stand up to the elements. Maybe you already have a good warm weather jacket you like that you want to bring along. This reusable unisex raincoat poncho is a great item to add to your Alaska cruise packing list. You can layer it over your coat or jacket on those days on your Alaska cruise when the weather is misty or rainy. It is affordable and comes in some really cool colors. I like that it folds down into its own pouch. Great for packing! Here is a family pack of reusable rain ponchos that are very affordable. They come in two different configurations and are very affordable. This way everyone in the family is covered. Because Alaskan spring and summertime weather is so unpredictable your best bet is to add layering pieces to your packing list for a cruise to Alaska. A neutral colored sweater like this one would be perfect to wear with the 32Degrees base layer under it for a day trip shopping in port, or with your outer jacket when hiking the glacier. Plus, because its neutral, it will match all of your other clothing pieces nicely. This beautiful thermal crew top would do double duty, keeping you warm plus being fashionable enough to wear alone, for lunch on the cruise ship, or if you are fortunate enough to encounter a warm afternoon on your cruise. Likewise, this beautiful long-sleeved blouse would be a fabulous addition to your packing list for your cruise to Alaska. It would be great with leggings and perfect for an afternoon of shopping or a late lunch. It could also be worn to evening dinner on your cruise ship. A cardigan sweater is a must to add to your Alaska cruise packing list. I have both a black and a white open front drape cardigan similar to this one and they both have served me well. I also had a cozy and comfy black cardigan which went well with everything, on every trip, like this one that is affordable and comes in many colors, but I lost it on a recent trip to Ireland, and am on the hunt for a new one. A cardigan is useful as an accessory piece to any wardrobe, and also a layering warming piece to wear for your cruise to Alaska. 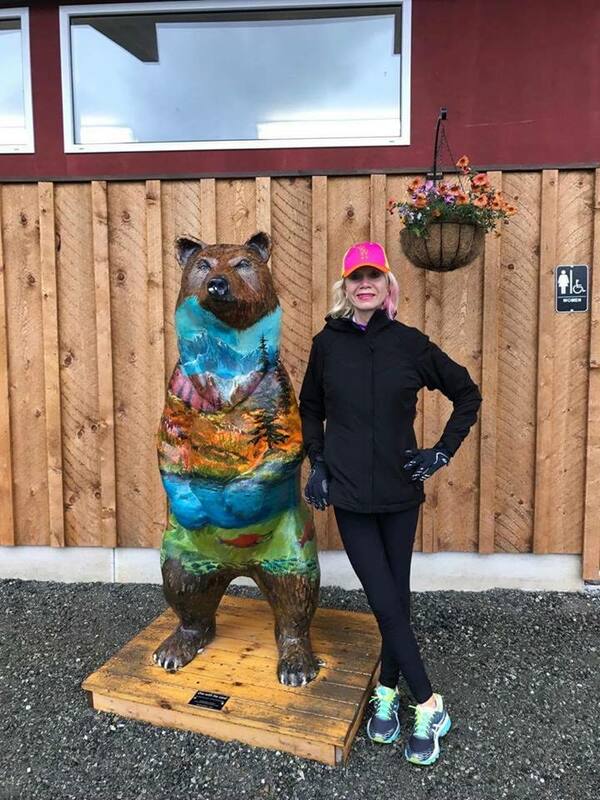 I always bring along several pairs of leggings for my colder weather travel, and you might consider adding a pair or two to your Alaska cruise packing list. Leggings are always fashionable and so very comfortable. They are pretty much all I wear in the cold. These extra soft leggings in a variety of colors and are so are low-priced, so you can get a few pairs to wear. Jeans are so universal. They are so versatile that they can be worn in just about any setting or situation, on or off your cruise ship. I like these Levi Strauss shaping bootcut jeans. Not only are they fashionable and inexpensive, they shape you. I won’t advise how many tops, pants, or jackets you should bring on your Alaskan cruise. You decide how many of each you want to bring based on the time of year you are traveling, and the amount of time you are spending in Alaska. After your daytime excursions are complete, you have evening dining on your cruise ship to look forward to. Something a little more than casual is always nice to have with you, for your evening plans on board your cruise ship. This loose flare tunic top would be a splendid choice to add to your Alaskan cruise packing list. There are lots of colors to choose from, and it is rather inexpensive. Another option is dressier long-sleeved tops, such as this long-sleeved tunic top. I love all the colors it is available in, and the price is great as well. Either of these tops will be great to wear to dinner and would be spectacular to wear with the jeans or leggings you have brought, so they should be on your packing list for your Alaska cruise. You can accessorize to add even a bit more flare. It is good to have a dress or two to have on your Alaskan cruise packing list, to change things up a bit! This casual flared tunic dress would be a wonderful addition to your packing list for your Alaskan cruise! You can dress it up a lot or a little depending on any accessories you brought with you on your Alaskan cruise. This sleeveless casual dress, paired with a cardigan would work perfectly. It has pockets, comes in lots of colors and is very affordable. This long-sleeved flowy knee-length dress works great as well because is it long-sleeved and that’s a bonus on chilly evenings. Depending on the length of your Alaskan cruise, you will have one or two formal nights for dinner. These dress up occasions are always so much fun but do not let them stress you out. This evening cocktail dress is a great item to add to your Alaska cruise packing list because it is affordable and it comes in many colors. Add a few accessories to personalize it, and you will definitely rock formal night on your cruise!! This cocktail dress with sleeves is another fabulous idea to consider when packing for Alaska cruise. It is a pleated and elegant party dress, and best of all it is reasonably priced! One of the first things I go to check out after boarding a cruise ship is the pool or pools, and the hot tub. Believe me, after day-long excursions, soaking in the warm bubbly waters of the hot tub, or blissfully floating in the pool for a few minutes can be heavenly if you are into that sort of thing. If so, certainly add a bathing suit to your Alaskan cruise packing list. This one piece tummy control suit is beautiful, available in many colors and is affordable. If you want something a bit fancier and interesting this keyhole cut out bathing suit fits the bill perfectly. Either of these one-piece bathing suits would be perfect to add to your Alaska cruise packing list. There may or may not be a robe in the room of your cruise ship, but if you err on the side of caution, like me, adding a bathing suit cover up to your Alaska cruise packing list is definitely a prudent thing to do. This tassel crochet cover-up is long enough for coverage and has very interesting details with the tassels and the crochet front. It is simply gorgeous. This beach bikini coverup with embroidery and this chiffon kimono loose beach coverup are both excellent additions for your Alaska cruise packing list. They come in a wide variety of sizes, and both are very affordable. You will definitely look smashing poolside! Sturdy closed-toe shoes are a must to put on your Alaska Cruise packing list. Your cruise will offer you an abundance of opportunities to hike forests and up to and on to glaciers, and numerous options of things to do out in nature, and supportive shoes should top your packing list for a cruise to Alaska, and it is a good idea to invest a bit more if you can and make sure they are waterproof as well. This waterproof trail shoe is an excellent choice to add to your Alaska cruise packing list. It is waterproof and has enough support and structure to keep your feet comfortable, even when the days are long. If you have selected a more rigorous itinerary these waterproof hiking boots might be a better choice for you. I never leave home without my Asics running shoes and you might consider adding a pair of athletic shoes to your Alaskan packing list too. They can be worn when shopping or dining, and you can purchase them in many interesting colors to match your outfits. Another popular brand, Skechers, offers many options, like these Skechers’ Sports Women’s lace-up sneakers. They are more affordable, are a sturdy and good-looking walking shoe and would make an excellent addition to your packing list for your cruise to Alaska. In Alaska, wearing my Asics kicks. Here’s my secret for comfortable feet: orthopedic sandals that are super duper comfy, affordable and fashionable. I broke my ankle two years ago, and must really take care of my feet. These iconic Vionic flip flops, which I own in several colors, are so comfortable and pretty they don’t even LOOK like orthotic sandals! If flip-flops, with their toe strap, do not interest you, perhaps these comfy and beautiful Vionic sandals that are not flip flops will make it to your Alaska cruise packing list. My ultimate sandals, the SOLE sport slide sandal, are my constant companions and I never leave home without them because they are unbelievably comfortable. They are medically accepted and have a treaded sole to help with traction. I would wear these instead of bringing slippers, in your cruise cabin, down to breakfast or brunch, or maybe to lunch. Oh, ok, to dinner too! They are very lightweight, and won’t add weight to your luggage should you decide to pack them, but I wear them EVERY SINGLE time I travel, especially when flying because they are so supportive and I can slip them off during travel and wiggle my toes. You lose the majority of your body heat through your head, so you will want to put a hat like this chunky beanie hat on your Alaska cruise packing list. When you are on a glacier calving or marine mammal sighting boat excursion when you are in port, you will be glad you thought to bring a hat to keep your head warm. It’s much colder when you are on the water! If the weather is scheduled to be warmer, when you are packing for your Alaskan cruise, you can include this unisex breathable mesh quick dry baseball sun cap. Just about everyone in your family can wear this baseball cap, it comes in oodles of colors and is very affordable. This wide-brimmed waterproof unisex hat would be great to protect you from the sun’s harmful rays. It is waterproof, packable, and comes in several colors. Not only that it is pretty cheap! If your waterproof jacket has a comfortable hood, you might want to put ear mitts on your Alaska cruise packing list, instead of a hat. These earmuffs are affordable and come in a very wide variety of colors. Those ice chunks calving off glaciers make the weather very chilly! These behind the head unisex earmuffs are another option. They are affordable, adjustable and come in a variety of colors. Even another additional item to consider to wear is a thermal headband. I have this thermal headband in purple and wear it all the time on trips, not only when out sightseeing but also on my early morning runs. Not only is it inexpensive, but it comes in many colors. I have one in purple I use all the time. I don’t know about you, but my hands, especially my fingers are always numb and uncomfortable when I am out in the cold and the wind on an Alaska cruise is especially chilly! Gloves are very important to add to your Alaska cruise packing list. Often when I travel to cold weather destinations, I bring several pairs of gloves, to layer, but more importantly, if a glove goes missing, I won’t be gloveless! These cold weather windproof thermal gloves are inexpensive, waterproof, and you can even text while wearing them. These warm touch screen gloves are unisex and affordable. They are available in some pretty cool colors and are reasonably priced. Depending on your cruise itinerary, and the Alaskan weather during your trip, I’d suggest you add hand warmers to your Alaska cruise packing list. These long-lasting warmers are fairly cheap and work for both hands and toes. If you are like me, and disposables are a concern, you can go to a big box store and purchase reusable warmers. This rechargeable pocket hand warmer and battery charger is another excellent option to consider. We all want and need to protect our eyes from the sun’s harmful UVA/UVB rays. Adding sunglasses to your Alaska cruise packing list is important. Make sure any sunglasses you purchase, demonstrate somehow on their lenses or with a tag that they offer UVA/UVB protection. Polarized lenses cut the glare waaay down, and since your cruise is on the water cutting down on the glare will improve your visibility. Sunglasses do not have to be expensive either, and these polarized retro classic trendy sunglasses are a great choice to add to your Alaska cruise packing list! Aviator-style glasses are all the rage these days. So these 100% polarized aviator sunglasses will keep your Alaskan packing list trendy! They come in a LOT of lens colors for you to select from, and are cheap. Even on cloudy days, the sun’s rays penetrate through the clouds and have damaging effects on our skin. So add sunscreen for protection to your packing list for your Alaskan cruise. This Neutrogena ultrasheer sunscreen stick would be a great option for your Alaska cruise packing list. Stick sunscreens are very convenient as there is no lotion or spray to worry about spilling while traveling. I think these Banana Boat SPF 30 travel packets would be a breeze to pack away in your luggage. They come in packs of 24, so you may have some at a later date. When packing for Alaska cruise, a daily facial moisturizer with sunscreen already in it, is a wise option. This Cetaphil configuration offers an SPF 50 option, is TSA safe, and you get two tubes. I do tend to suffer from motion sickness. Thankfully it does not happen very often! These antinausea wristbands are worth a try, as well as these non-drowsy motion sickness patches. Your cruise ship will probably have Benadryl for sale in one of its shops should you need it, and the medical personnel in the ship’s Sick Bay will be able to aid you if you require assistance for a case of motion sickness. Hydration is super important while traveling. It keeps you feeling well, and helps your immune system stay strong while fighting off germs. My entire family and I never leave home without our Bobble water bottles. We like the 18.5-ounce size because it is just the right size to fit into our daypack pockets when we leave for the day without being too cumbersome or heavy. We rely on the carbon filter when we travel to rid our water of dangerous germs and to help us remain healthy. If you are flying to your destination city to begin your Alaska cruise, perhaps you will be interested in this collapsible leak proof BPA-free water bottle. It comes in lots of colors, is lightweight and would take no room in your luggage, or hanging off your backpack, or luggage handle. I like these insulated double walled stainless steel flasks. They come in loads of colors, you can pick which size would fit best on your Alaska cruise packing list, and they are very reasonably priced. You will be doing a lot of nature watching on your Alaska cruise where binoculars will come in handy. I never used to bring along an umbrella when I did any kind of traveling. But being caught in the rain enough was cause enough for me to change my attitude. I really like this windproof travel umbrella. It can withstand powerful wind gusts which is important. My original travel umbrella did not and that was very annoying. It is very lightweight, has a Teflon coating to repel the rain, and comes in lots of colors. There will be lots of times when a pair of binoculars will come in handy. They should be on your Alaska cruise packing list. Watching a glacier calve and searching for exotit Alaskan wildlife are but two situations where you might wish you had a pair. These compact waterproof binoculars have large eyepieces so you can keep your eyeglasses or sunglasses on when you use them. They are unisex and suitable for both adults and kids. Your children would love to have their own pair of binoculars and these shockproof and splashproof binoculars would be perfect. They are lightweight and coated in rubber for added protection. How much luggage to bring is always a personal decision. Carry on? Checked? First off, check with your cruise company to verify luggage restrictions, if any. When I travel, cruising or not, I always bring a carry-on bag, along with my personal bag. I have learned a few tricks on packing for extended trips using only a carry on wheeled aboard bag. You can read my tips and tricks about how to pack a carry on here. If you decide a twenty-one or twenty-two-inch roll-on bag is the way to go for you, inquire with your cruise line if you are able to keep that bag with you once you embark on the ship, or if you must “check” it with all the larger pieces of luggage. If you prefer a larger twenty-five or twenty-eight-inch piece of luggage, this Samantha Brown classic luggage set may be just right for you. I personally use Samantha Brown luggage when I travel. I have a set and the twenty-one-inch suitcase is the perfect size for me. Watching and listening intently to the glacier. You will want a durable backpack or daypack on your Alaska cruise packing list. You will need a place to hold that extra sweater or a pair of socks or gloves, some snacks and your water bottles for hydration when you leave your cruise ship and go on your excursions. This Columbia Backpack/Daypack is a great option for you as you venture off your ship. If you are flying, and space is at a minimum, consider adding this to your Alaskan cruise packing list: this ultra lightweight packable water-resistant backpack/daypack folds up into its own small carrying case to tuck away in your luggage. It is available in super cute colors and is affordable. If there’s more than one in your party that needs a daypack, and if you do not mind there is not a huge color selection, this packable lightweight backpack is foldable as well, fits in its own case and comes as a set of two! 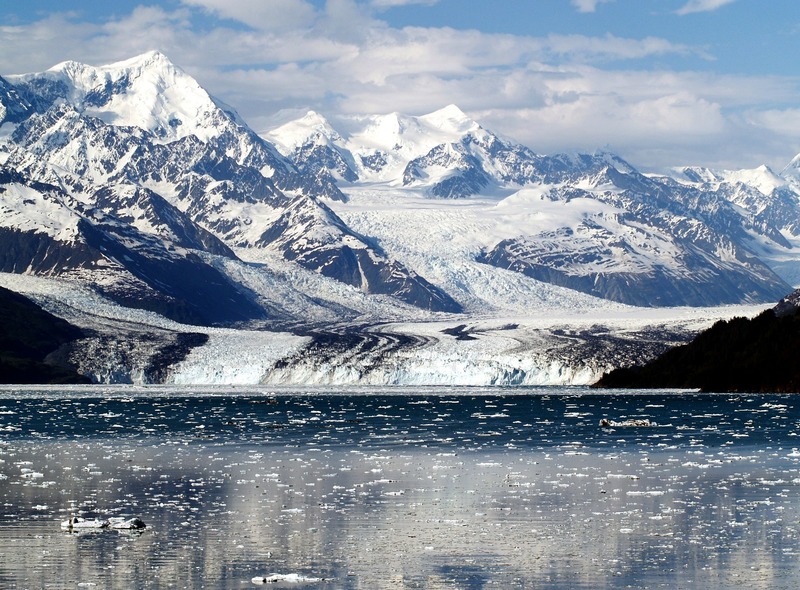 Of course one of the top reasons to take an Alaska cruise is for the epic scenery! Those calving glaciers and wild animals you will encounter may be a once-in-a-lifetime experience. So you will want to be ready with your photography equipment. I like this Sony ILCE a6300 mirrorless camera. It is a significant investment for sure, but this configuration has all the necessary accessories that you would ever need or think of. This Sony a3600 configuration with a 64GB SD Card & battery bundle is a lot less expensive, and does not have as many accessories, but would be great when you are packing for your Alaska Cruise especially if you already use a Sony camera and are looking to upgrade. 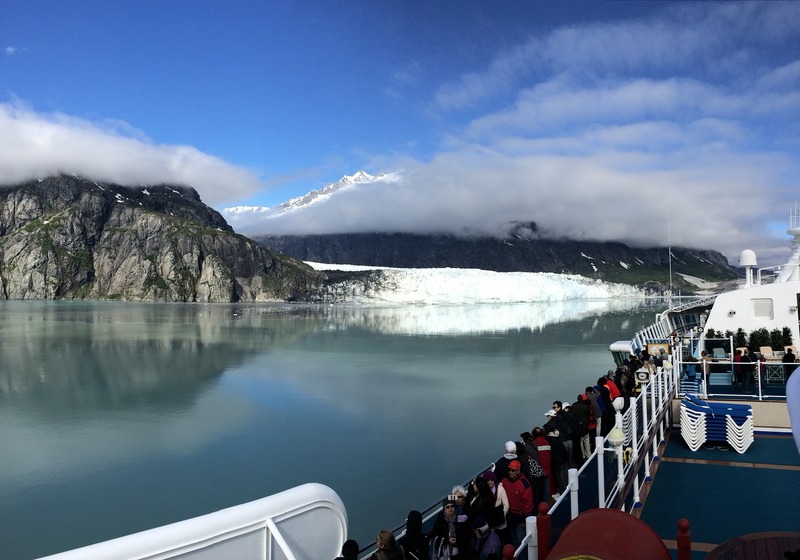 When packing for your Alaskan cruise, consider bringing along a waterproof action camera. It may be misty on some of your tours, and you may also get splashed. So, check out this GoPro Hero 7 Digital Action Camera This particular configuration includes a top value accessory bundle as well, so you will not need to purchase many accessories separately. If you are looking to upgrade your current model to the newest version when packing for your Alaska cruise, then this GoPro with live streaming stabilization may be just what you are looking for. 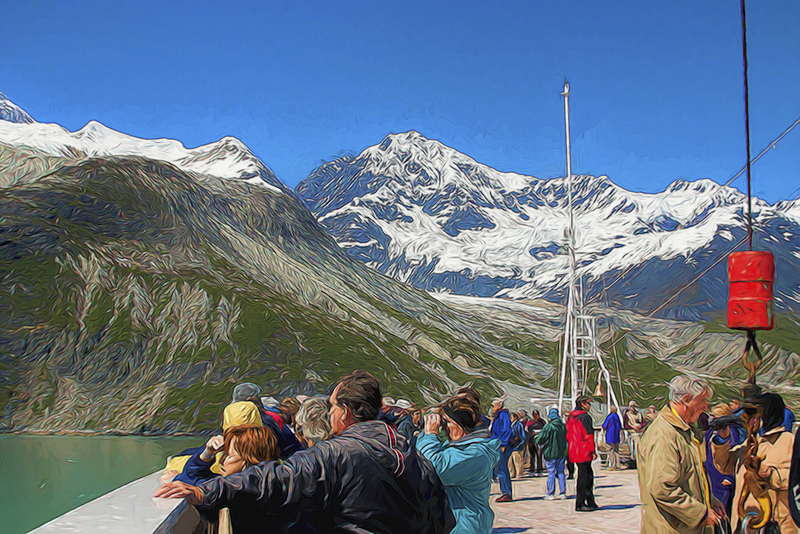 You know when considering what to pack for Alaska cruise, that you will be probably taking a lot of memorable pictures. Please make sure to bring along an extra SD card for your photographic devices. If you choose the Sony a6300, this San Disk 64GB extreme professional memory card is very reasonable as a backup memory card for all those precious pictures. For double the memory, but not twice the price, this 128GB San Disk Extreme Professional SD Card would be great when packing for your Alaska cruise! The above-mentioned SD cards adapt to many camera models. The takeaway is no matter what make or model camera you are packing for Alaska cruise, bring along an extra SD card for insurance. This San Disk 32GB memory card would be great to add to your Alaska cruise packing list if you intend to bring along a GoPro. For a bit more, you can purchase this San Disk SD Card configuration that contains TWO 64GB memory cards. It depends on your needs and how many pictures you are thinking you may take when you decide what to pack for your Alaska cruise. While you are considering your Alaska cruise packing list, let me remind you once again, that Alaskan weather is unpredictable at best. That being said, it is an excellent idea to bring along a waterproof phone case. This two-pack universal waterproof case dry-pouch bag is very affordable and fits a wide variety of phone models. If you desire something more colorful when packing for your Alaska cruise get these universal waterproof phone pouches in a three-pack of blue, orange and green! 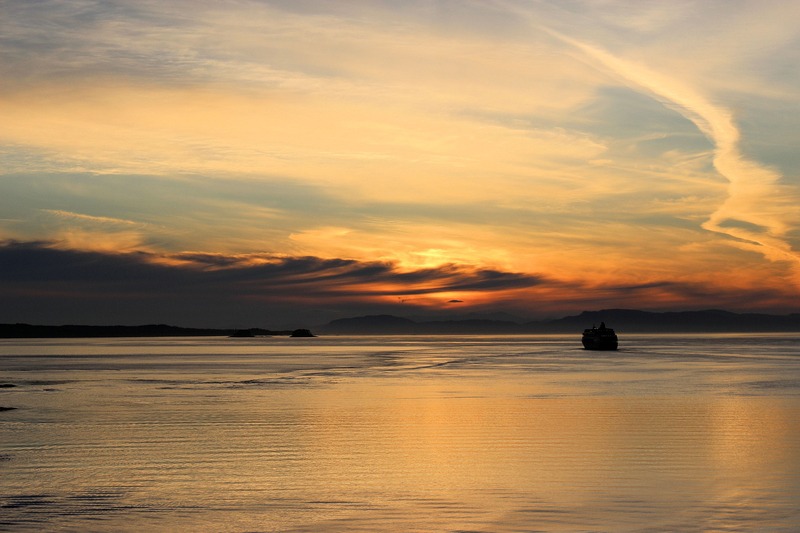 Can you just imagine enjoying a sunset like this one on your Alaska cruise?!? 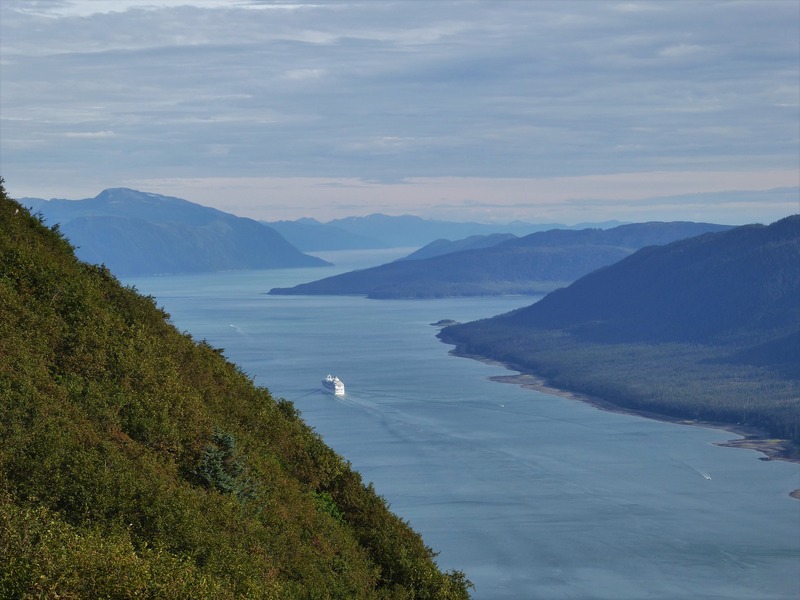 There are a lot of variables to consider when selecting the best time to take an Alaskan Cruise. First off, the price. If you choose your Alaska cruise in July, know that is the busy season and will be more expensive. 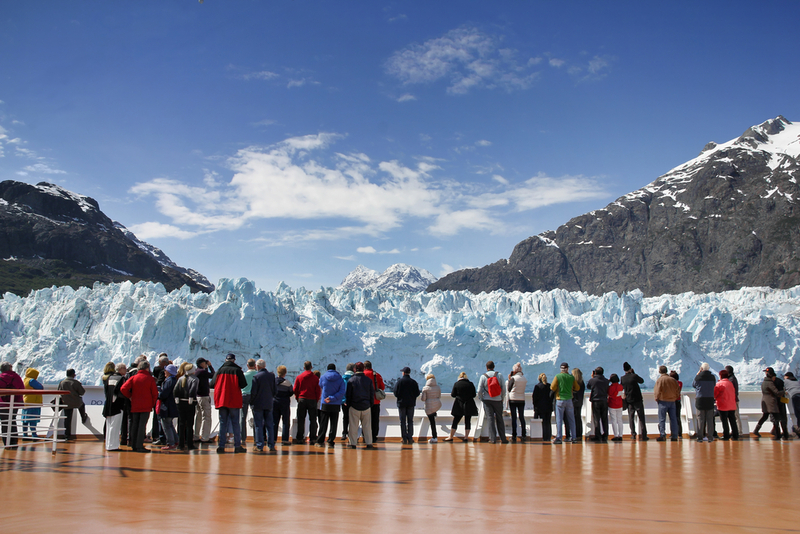 Attractions will also be more crowded if you choose your Alaska cruise during the high season. Secondly, the weather. While the shoulder seasons of early spring to late fall will offer the most affordable prices, the weather will undoubtedly be chillier. If you refer to my Alaskan cruise packing list and suggestions, you will not have to worry about the weather! Thirdly, your family and friends traveling with you will probably need to arrange time off work, and this is certainly a huge consideration in the early planning stages of an Alaskan cruise. What is most important is that everyone is able to accompany you on your dream Alaskan cruise, so giving credence to others’ schedules is of paramount importance! 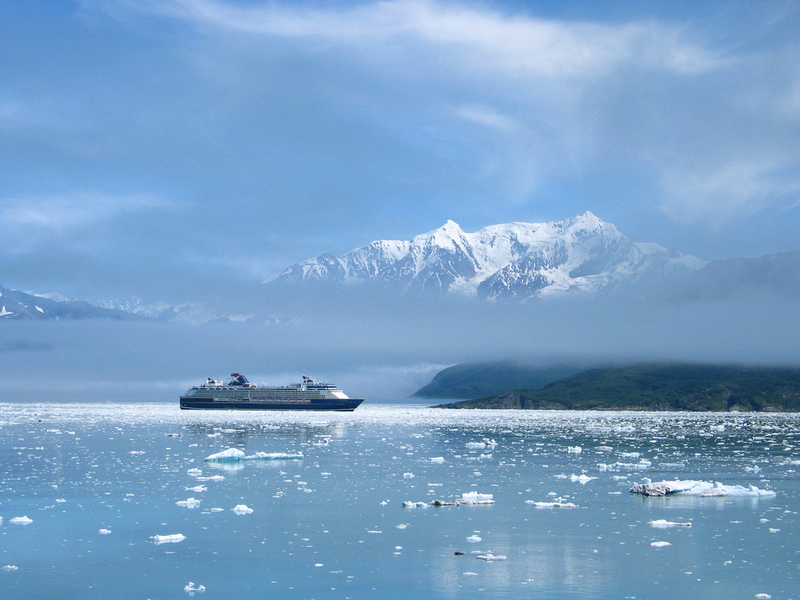 There are many kinds of Alaskan cruises. Many sized cruise ships set sail from all over the Pacific Northwest with a variety of itineraries. Likely, you will fly into either Seattle, Washington, or Vancouver, British Columbia. These are the most popular origination destinations. Departing from Seattle will not require a passport. 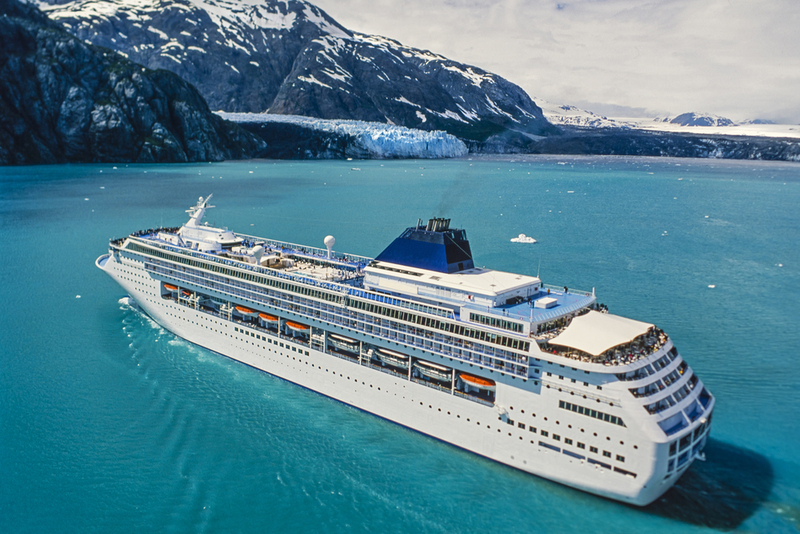 However, if you wish to plan an add-on (before or after) segment in conjunction with your Alaskan cruise, then you most likely will need a passport to show the Canadian officials. Be sure to check with your cruise line to verify if a passport is required. And check how long it will take to obtain one if you do not already have a current passport. Some cruises leave out of Anchorage as well, and if you fly directly into Anchorage, you will not need a passport. This Alaska packing list contains the basics of what you should bring to Alaska for your cruise. You may need to modify it depending on the length of time you will be in Alaska, and the time of year you will be visiting Alaska. Have a great trip!!! 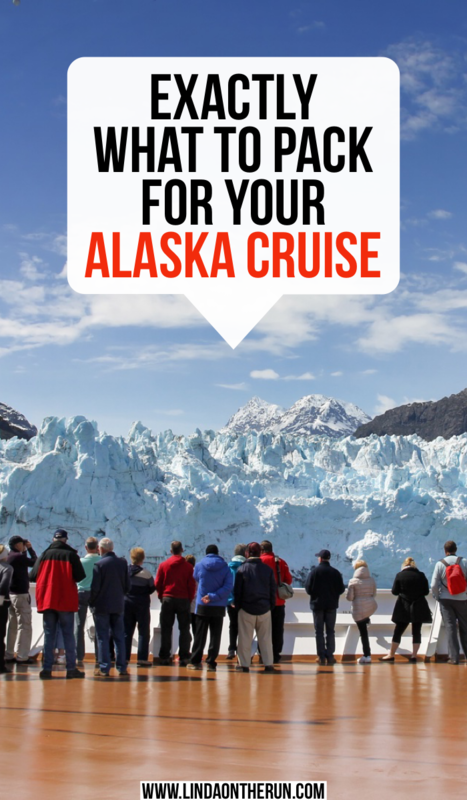 If you have already cruised Alaska, what is your fave packing tip!!? This post may contain affiliate links which means I may make a small commission at no cost to you. Loved loved loved your info, all top shelf. I loved the detail for every phase of necessary attire, great job. Thank you Christine. I want to make sure I covered all the bases. Great list and perfect timing as we prepare for our upcoming cruise. 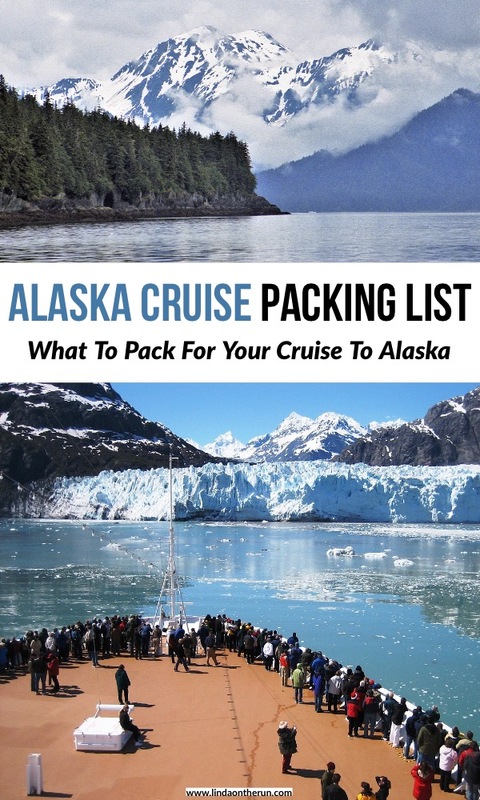 This packing list for the Alaska Cruise will come in handy for sure! We were a it torn as we are traveling in July and it is so warm, even in the PNW right now. We are prepared for warm and cool temps! Thanks again! We were in AK last year, and it was COLD! That’s why layering is so important. Have a great trip to Alaska. I’m so jelly! That’s a great list, and you covered everything! I wish I’d had this when we did our Alaska cruise years ago! Thanks, Lois! You can use it next time!!! In retrospect, I’m kind of glad I didn’t have this list before we cruised with Celebrity in Alaskan waters because I would have over packed for our particular cruise. According to the crew, we had unbelievably good weather during our week. I got by with jeans and a sweat shirt and a few fancier things for dinners. 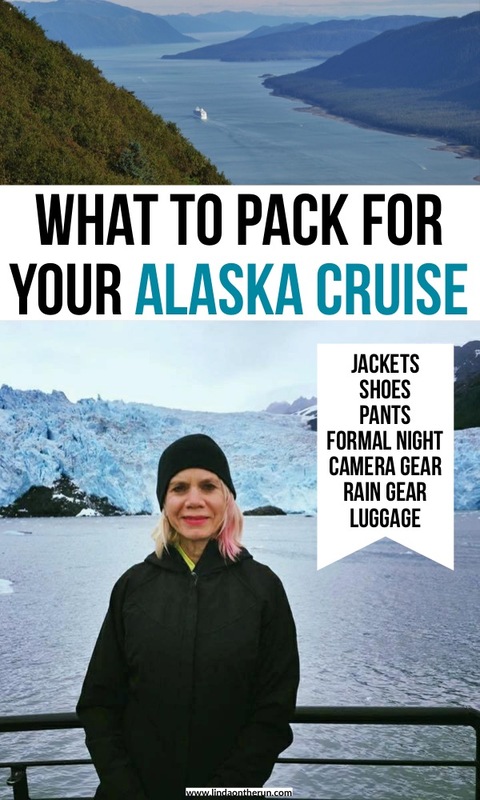 However, prudent travelers planning an Alaska cruise would do well to consult your packing list, so I’ve pinned it to my “cruising” board on Pinterest. Thanks Suzanne. It’s meant to be a guide. You were indeed fortunate with moderate weather! Mo, it is all about having the proper cold-weather clothes. And its COLD in Alaska even in the summer. Technology has definitely advanced and there are many wonderful options to get to keep you warm! Hope you do get to go again. I didnt know you could go on a cruise in Alaska. I always think of the carribean. But it looks absolutely wonderful. Elis, the scenery is stunning and the Alaskan native culture is very interesting. I hope you get to go someday!